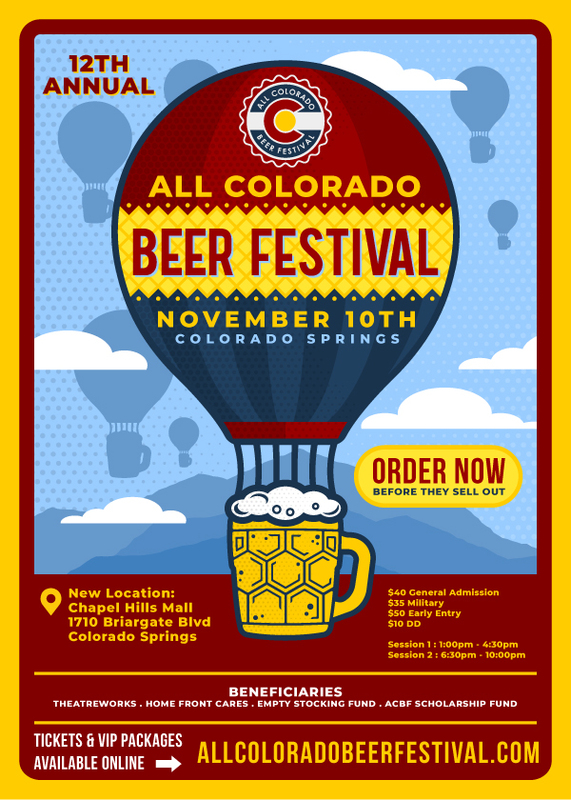 Every year I design the All Colorado Beer Festival poster. This event is run by a non-profit that donates a tremendous amount of money to local charities. So I donate my time by designing their posters, tees, and promotional material. Here’s what I came up with. 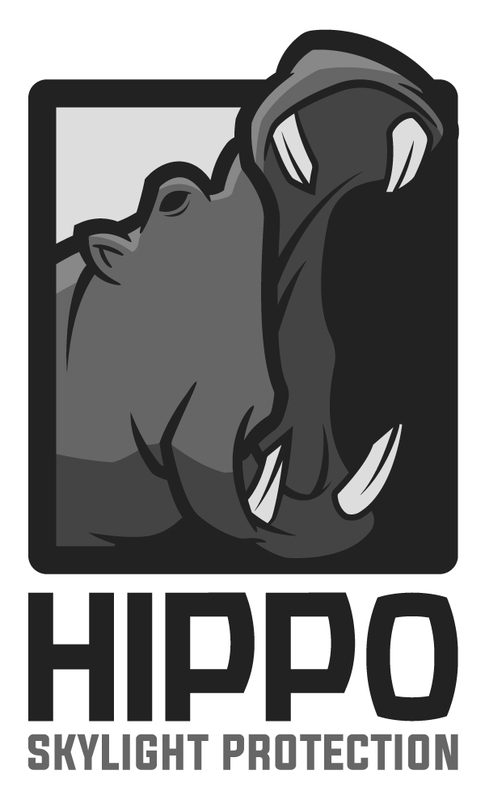 Here is a hippo logo design for a company out of Colorado Springs. These guys design and manufacture skylight protection covers for homes. Here’s what I came up with. 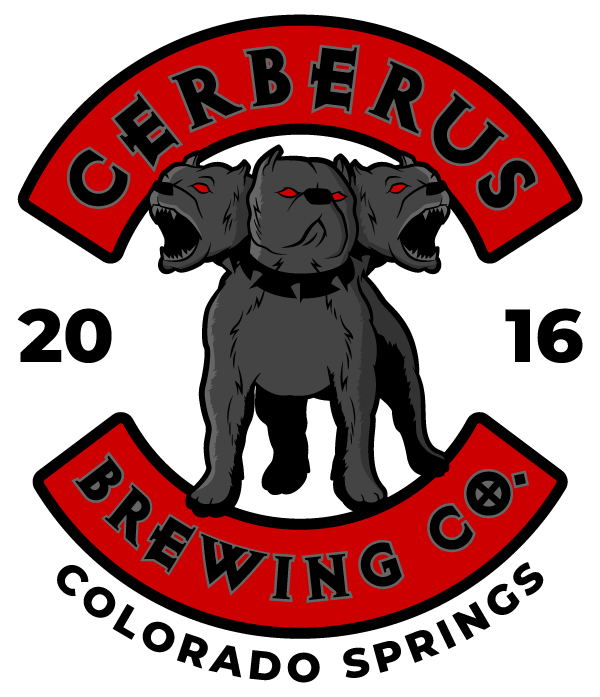 Cerberus Brewing asked me to design a new logo for their brand. They wanted to go with a full dog this time, as opposed to just the head. During the brainstorming process, I started thinking about Black Label Society and how their band logo embodies that old biker gang style. Something you’d see on the back of a leather jacket. Rough and tough and full of piss and vinegar. the design, not Cerberus’s beer, their beer is great. Here’s what I came up with. A couple Fort Carson brothers came to me with an idea about starting a small business here in Colorado Springs. They were essentially rebuilding old dirt bikes to new condition specs. They would also be working with the VA in some way. So they asked me to design a motorcycle logo for their new venture. 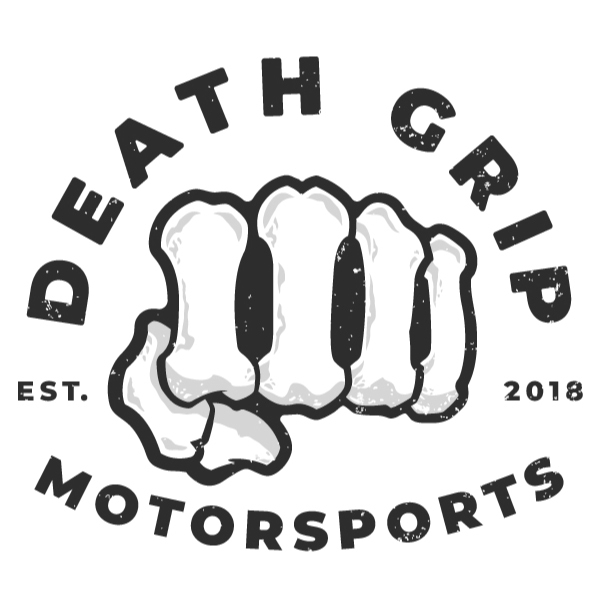 The company name was going to be Death Grip Motorsports. Here’s what I came up with. A roofing company out of Colorado Springs is looking to expand their business into the Arizona territory. Which is where the family owned business is originally from. They were looking for us to develop a roofing logo design and start building on their brand identity. Originally the owner wanted to incorporate the Arizona state flag. However I’ve never been a big fan of this idea because so many other businesses utilize these same elements within their own logos. So I went a different route, still utilizing Arizona colors and elements from the desert landscape. For the logos icon, I wanted to incorporate an Arizona mountain with a rooftop. Seems to work, I dig it. The font is a simple and bold sans-serif font with some minor tweaks. I did keep with the Arizona colors, however I replaced the yellow with a soft grey. Overall it seems like a strong design concept. Lets see what the owners think. 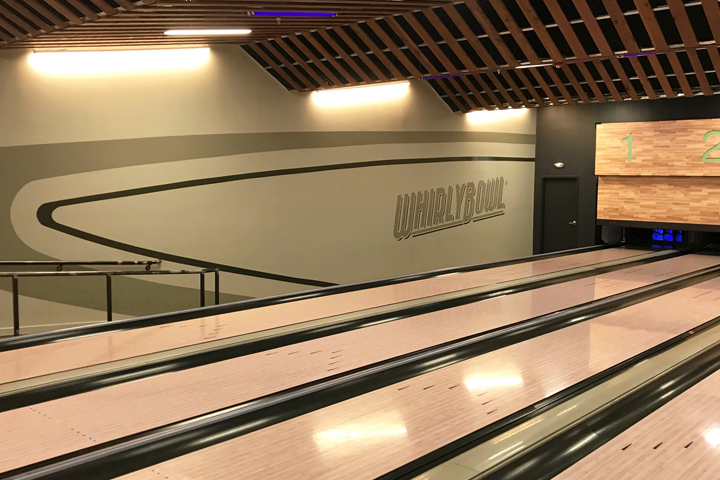 I painted these wall graphics for Whirly Bowl in Coloardo Springs last summer. Apparently I forgot to put them on my portfolio. 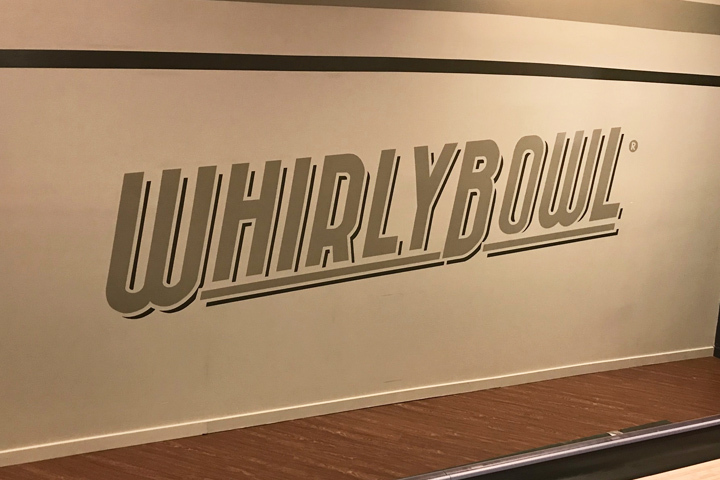 Whirly Bowl just opened up last July. 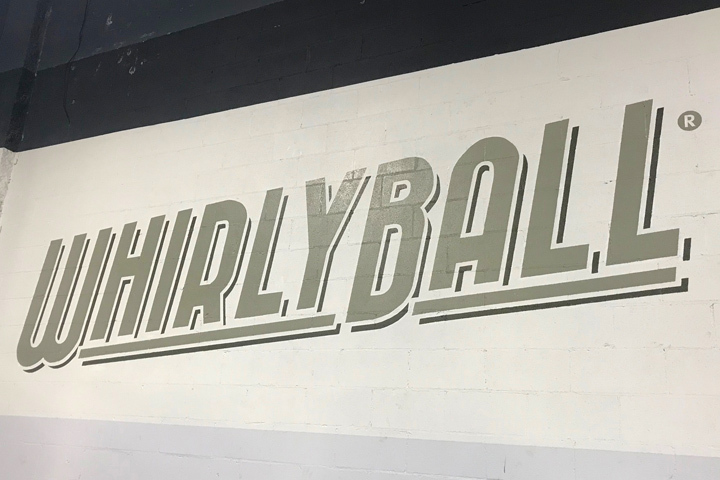 During their construction they contacted me to paint their logo in the bowling alley area as well as the Whirly Ball rooms. Each logo is approximately 20ft in length. Love this kind of work because it gets me out of the office and off the computer. Good stuff! 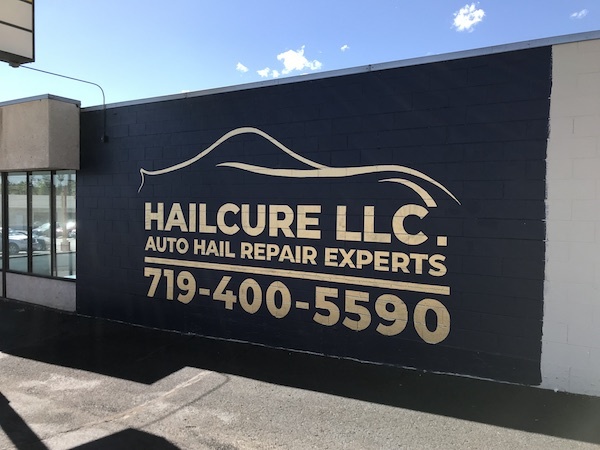 Hailcure LLC is a Texas based company that recently set up shop here in Colorado Springs. They asked me to design and paint a wall mural that would help catch the attention of folks driving by. Phase one of this project was to paint their logo and phone number on the left side of this 60x12ft wall. Assuming the weather will hold up, I’ll begin painting the rest of the mural which will include a mountain scene of Pikes Peak in the background and Garden of the Gods in the foreground, along with a lightning storm overhead. Looking forward to get the rest of this project underway. Thanks to Jesse and his team for letting me bring this project to life. 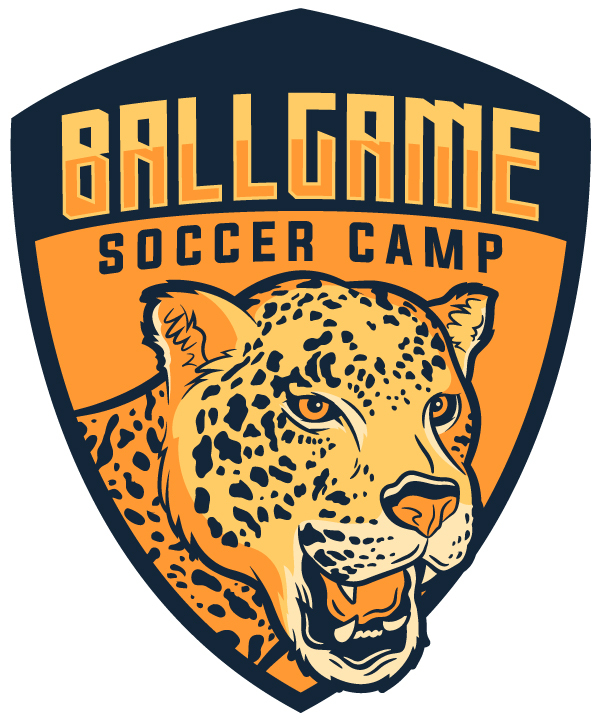 A couple came to me with a concept for an international soccer camp called “Ballgame”. The lady is from Germany and her husband is from Brazil. Both are professors who just happened to be working temporarily at Coloardo College in Colorado Springs. They were looking for a soccer logo and wanted to incorporate a particular jaguar that was native to Caue’s homeland. Here’s what I came up with. 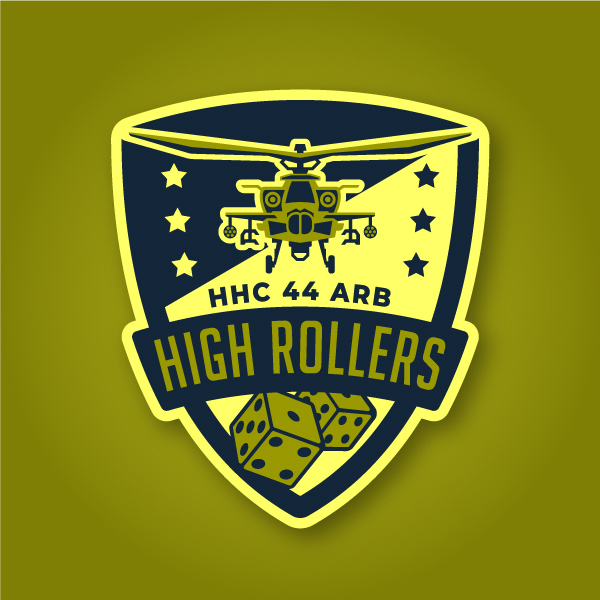 Made some changes to this army logo design. I also added some more color options for the Apache helicopter logo design. 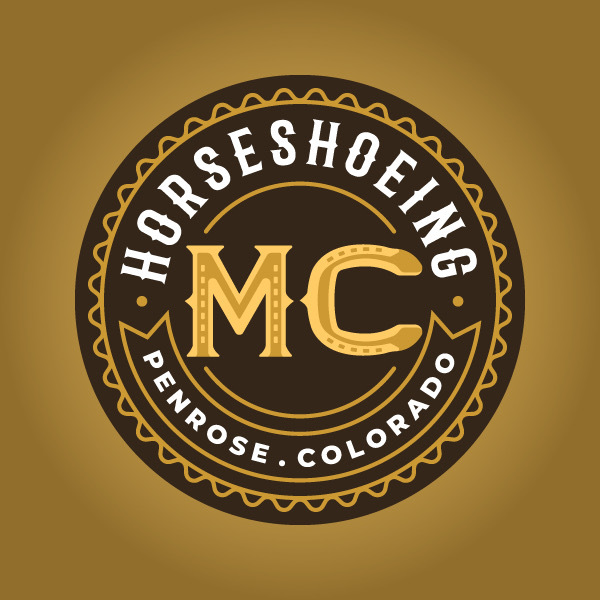 Here is a horseshoe logo design for MC Horseshoeing out of Penrose, CO. 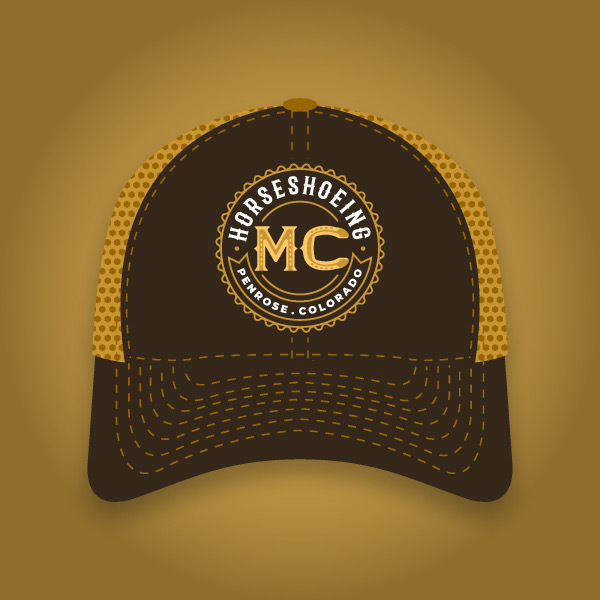 This client works on a ranch training horses and specializing in custom horseshoes. We’re a design studio out of Colorado Springs focusing our attention on graphic design, web design and illustration. 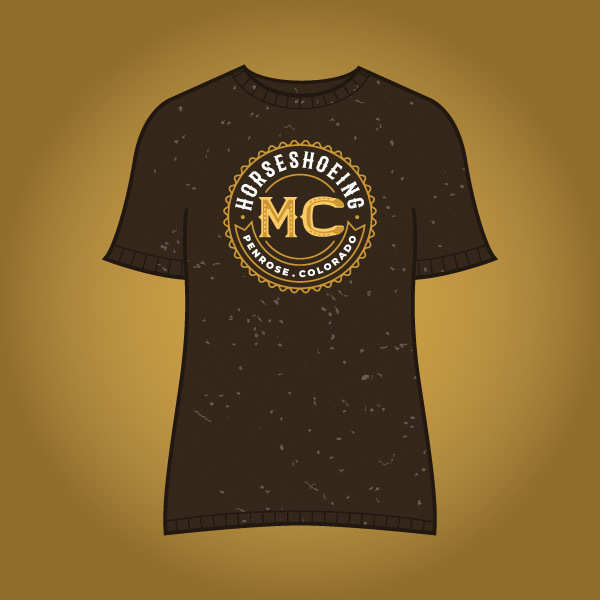 Since 2008 we’ve been working with local businesses to help grow their brands. Our design process is focused around simple, bold and effective concepts. If you’re looking for a unique logo, website design or anything else in between, give us a ring – we’d like to help bring your next project to life! We’re a design shop out of Colorado Springs focusing our attention on graphic design, web design and illustration. Since 2008 we’ve been working with local businesses to help grow their brands. Our design process is focused around simple, bold and effective concepts. 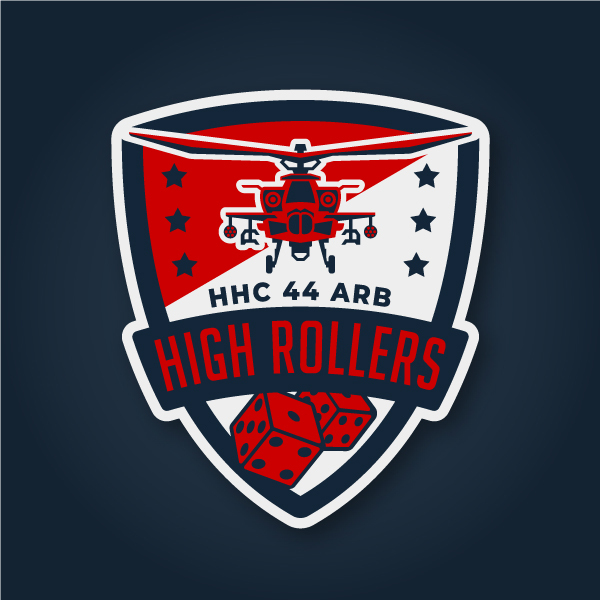 If you’re looking for a unique logo, website design or anything else in between, give us a ring – we’d like to help bring your next project to life! © 2019 Hi-five Design | Hi-five to happiness. | Theme by SiteOrigin.